The start of a new year begs for reflection. And so here is mine. *My wife: This past October marked our first full year of marriage. I couldn't be happier. I couldn't have found a better match for me. I couldn't have asked for a better partner to travel through this life with. I am so thankful for her, who she is, and all that she gives to me. Thank you, Carla, for being the most wonderful wife, the most fun partner in crime, my strongest support, and my perfectly matched Scrabble partner. I cannot wait to be a mom with you. You have so much love to give to our child and I cannot wait until the day that I get to see you holding our baby. *My dad's health: After a really scary year, my dad is incredibly healthy and happy once again. I have been so inspired by his strength through his illness and continue to be inspired by his courage through his recovery. I have never felt closer to my dad and am so thankful that he is healthy once again. I can only hope to be half as good as a parent as he has been to me. He has taught me so much and made me feel so confident in this world. I am so very proud to have him as my dad. *Family: I have never needed support from my family in the way that I have needed support from them during this past year and throughout this adoption process. I can't believe the way that they have been there for me. I have fallen apart to various members of my family at various times throughout this past year and they have caught me in such incredible ways. I am lucky to have a mother who loves me for every single thing that I am and who will put her own problems away to help me deal with my own. I am lucky to have a sister who cares so deeply about me that she cries when I cry and offers the kind of support that truly reminds me that things are going to be okay. I am also incredibly lucky to have forged strong relationships with members of my extended family. My sister's husband and my wife's family have all shown me that family is not defined purely by blood. They have all been incredible through this process so far and I feel incredibly lucky to have a family that now extends far beyond the one that I grew up with. *My nephew: He is just the funniest, smartest little guy and his laughter and joy have brought me out of the deepest kinds of sadness this year. *Friends: Sometimes it hard for me to know where family ends and friends begin. I have never been one to have loads and loads of friends, but I have always been one to have a few of the most amazing friends that anyone could ever ask for. Some are from junior high school, some from high school, some from college, and some are from work. I have been blown away by their support this year. From friends who have quietly worried when they didn't hear from me, to friends who stopped by with wine and ice cream because they knew it was exactly what I needed. I am so lucky to have these people in my life. *My students: They will never know what they have done for me this past year. 2012 gave me two incredible groups of students. There were days when this adoption process brought me to some of the lowest places I have ever been to, but somehow walking into a room filled with these kids always helped. I am thankful to get to learn from kids like these every day. Throughout this year, I have been inspired by and in awe of the children that I have the privilege of teaching. Waiting for our child, is made significantly easier by having all of these other children in my life to love. *Death: I have had to say goodbye to very loved members of my family this year. Their absence is felt so very much, but their presence is equally felt. I am thankful for all that they were able to give me throughout their very full lives and I am thankful that they were able to live the end of their lives with dignity and peace. *The struggles: Adoption is not an easy process. They told me that at the beginning, but only now am I beginning to understand it. I know there are a lot more struggles ahead for us along this road to adoption, but I have to say that I am thankful for the struggles that we have already encountered. Each time we overcame a hurdle, I grew a little bit more. I became a little bit stronger. I developed a true sense of faith in the person that I am, the couple that we are, and the process that we are involved in. Leaning into the pain that this adoption process has brought has allowed me to develop things within myself that I never knew were there. I feel better prepared now to face whatever comes. I feel better able to seek out and accept the support that I will need moving forward through this process. *This blog: This blog is now over a year old. When I started writing, I had no way of knowing the importance that this space would have. 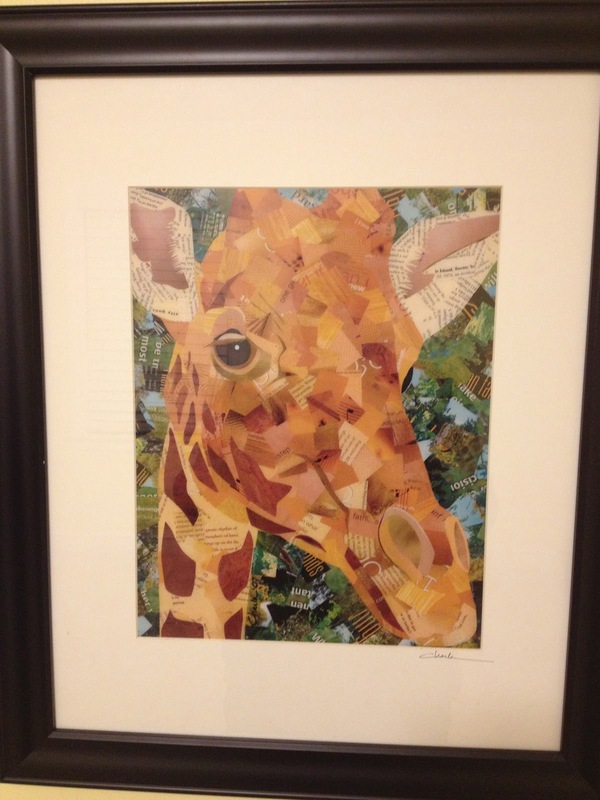 I am so thankful for what this blog has given me. It has given me a place to vent, a place to put the things that are too heavy to continue carrying around, a place to help people understand what is going on throughout this adoption process, a place to seek support, a place to receive support, a place to offer support, a place to seek validation, and a place to sort things out that are too confusing to sort through while they swirl around in my mind. So while it has been a challenge, 2012 has brought me a lot of blessings. Some of them I recognized at the moment they entered my life and some of those blessings I have not been able to understand until much later. But as I end this year, I feel an incredible sense of gratitude and an incredible sense of hopefulness. Carla and I have said many times this month that we believe 2013 is going to be OUR year. We are not sure exactly what that means, but as we look ahead into this new year we see good things in our future and we know that we will be ready to accept them whenever and however they choose to arrive. Happy New Year everyone. May it be filled with all sorts of things! As I have written about before, each month that we are on the wait list, Carla and I each purchase one book that become a part of our child's library. That way, when our baby finally finds us, he or she will have a library full of books ready to come home to. We are just days away from being on the wait list for six months, so I thought I would write about the books that we bought for month five of waiting. The first book is one that has been recommended to us by multiple people. In fact, the first time that we went into our favorite bookstore, Women and Children First, one of the store owners suggested this book for us. She was the same woman who helped us find books about adoption when we first began our whole journey and she has been there on several occasions when we have returned to that very store to buy our monthly books. The book is called Mommy, Mama, and Me. It is an adorable books about a child with two moms and all the things they do together. 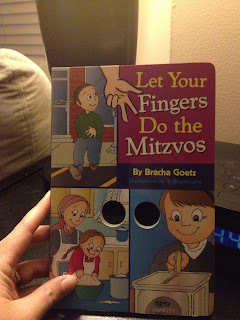 The book doesn't attempt to preach or send any calls for action. Instead, the book simply shows a family of three (one child and two moms) going about their daily activities. Again, it is one of the books that makes me feel confident that our child is going to grow up in a world that, while not perfect, has come such a long way. 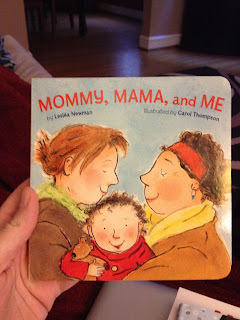 It fills me with such joy to know that our child will see families like ours reflected in the books that we read. As a teacher, I know the importance of books needing to be both windows and mirrors. Books should be windows to let our children see into worlds that are unlike their own, but they also need to be mirrors where our children can see themselves reflected on the pages they read. This lets our children know that they are not alone and that there are many people like them in the world. It shows them that they matter and that there is absolutely nothing wrong with who they are. I am so happy that this book is now a part of our collection. The next book is one that Carla has looked at every time we have gone to the bookstore. 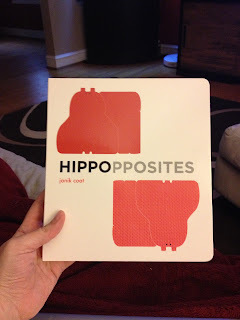 The book is called Hippopposites. The book is an adorably simple book that uses a delightful hippopotamus to demonstrate opposites. Carla loved the bright drawings and happily pictured herself looking through the book with our child one day. The last book was a last minute addition that we just couldn't pass us. 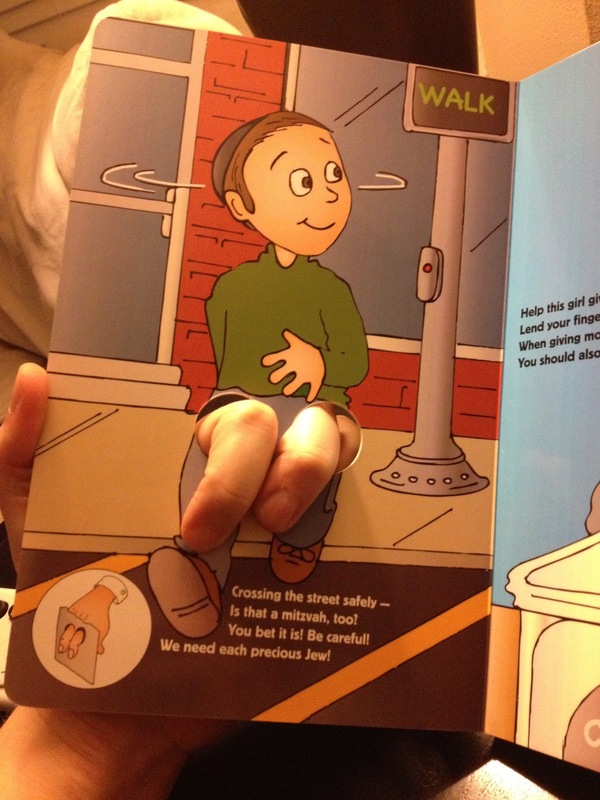 The book is called I Am Small. 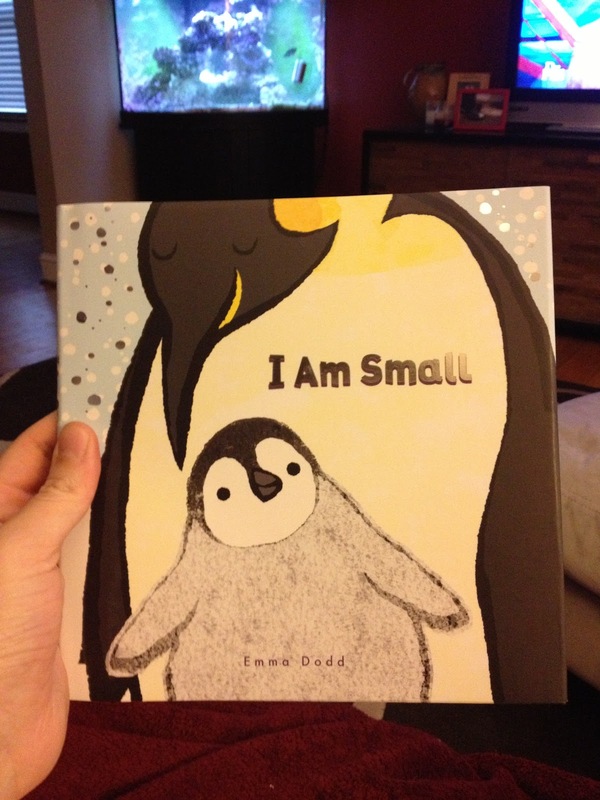 This book is such a cute story told from the point of view of a baby penguin. The baby penguin talks about how small he feels and how big and fast the world can seem to a little guy like him. The end of the book reads, "I am small. But you are big and you are kind. When I'm with you, I do not mind. I may be small, but I can see the biggest thing to you...is me." I absolutely loved the message of this book and the way that the baby penguin just snuggled right up to his parents. I love that being with his parents helped him to face the biggness of the world around him. Adorable! So those are our newest additions. They will soon work their way upstairs, into the one-day nursery, and onto the shelf with all of the other books waiting for our child to read them one day. And because I uploaded it by accident, here is a parting shot of our pup, Frankie, helping me to take pictures of the new books. Thanks for the help, Frankie! It's been a while since I wrote about anything adoption related. The reason for that is that all has been quiet on the adoption front. It seems that the start of our wait was a frantic, chaotic, emotional wait whereas the past few months have been a quiet kind of waiting. It's been about two months since we were last presented to a mother and I have been thankful for the quiet. The first few months of our wait took so much out of me. It seemed as if there was one situation after another and while I was thankful that we were being presented, I was drained from all of the rejection. So the past two months have been a welcome quiet for me. While we wait, we try to do things that keep us focused on what we are doing all of this for anyway. On one hand we want to make sure that we continue to live our lives and enjoy our moments as a family of two. But on the other hand, it helps to do things every so often that help us keep in mind the delightful outcome that will come of this process one day. 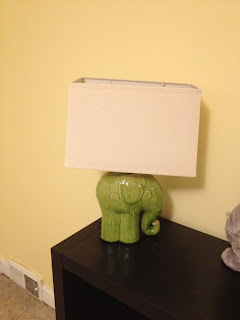 Our perfect green elephant lamp! Two new pieces of artwork from a local art show we went to. And in the hallway between the one-day nursery and our room, we found this beautiful piece of art work at an art fair this past summer. We love it and the way it represents the family that we will one day be. View from the bottom of the stairs. 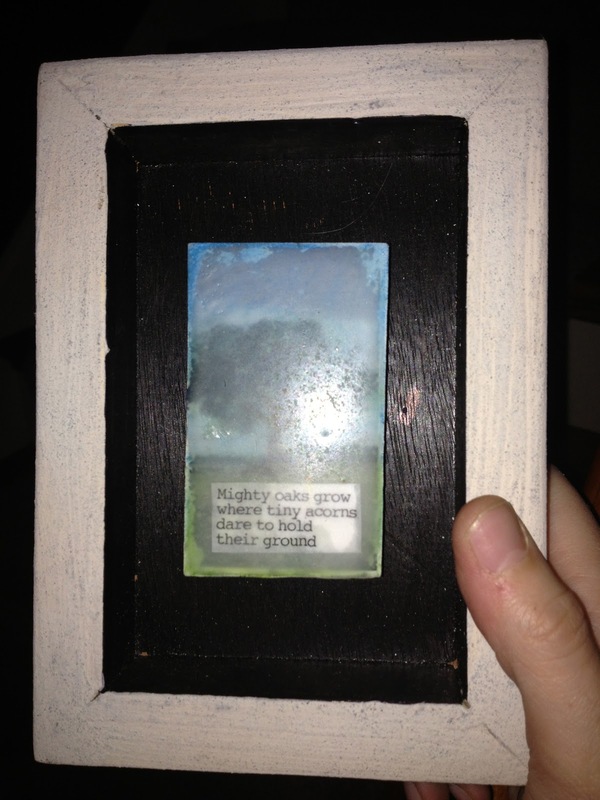 It's hard to see with the reflection of the flash, but it says, "Mighty oaks grow where tiny acorns dare to hold their ground." What a perfect quote to speak of where we are in our journey towards adoption. 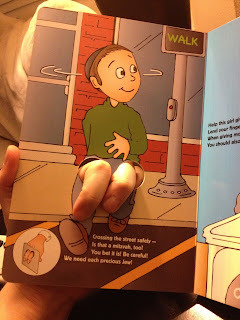 Again, in case you can't read the text here, it says, "Crossing the street safely, is that a mitzvah too? You bet it is! Be careful! We need each precious Jew!" I love it! I truly laughed out loud in the bookstore, and thanks to my very generous sister, this book is now a proud member of our book collection. Well, I do believe that is it in terms of what we have been doing as we wait. As we wait, we continue to try to fill our home with as much love as possible so that when we do bring that baby home one day, he or she will feel all that love and know that we have been waiting, as patiently as we can, for him or her to come home. And we will continue to wait. Quietly or not. I won't lie, the holidays had their challenging moments. It can be hard to be surrounded by so much family tradition while you are waiting to build your own family. Luckily, we found ourselves surrounded by such love, that it gave us strength and made the holidays easier to get through and enjoy. And through it all, this quiet faith has settled into my heart. A faith that reminds me that this will happen one day. 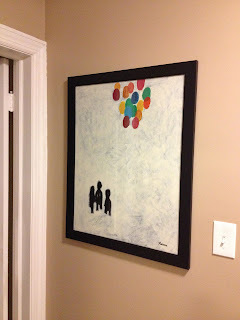 One day we will be that family of three that is already hanging in our hallway. One day we will fill our home with more than just paintings and lamps. One day we will fill our home with a child and we will be glad that we spent so much time getting ready for that day. 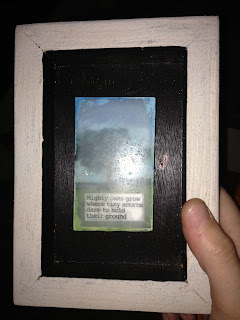 Sometimes, other parts of my life creep into this blog. Sometimes, other parts of who I am take up more space in my mind, heart and soul than the part of me who is on the journey of adoption. Today is one such day. Today, the teacher part of me rose above any other part of me. This past weekend, we, as a nation, sat around our collective television screens and watched some of the most horrific news coverage that we had ever seen. Everybody in this country, and perhaps around the world, was deeply affected by the tragic events in Connecticut on Friday. Everybody felt the pain of the people in Newtown and everybody felt the loss of those incredibly innocent children. As teachers, I think we felt things differently. We didn't necessarily feel them more than anyone else, just in a different way. It hit so close to home. Those of us who spend our lives in elementary schools, loving elementary school children, working hard each day to protect those innocent minds that are entrusted to us each day, we felt the tragedy in a different way. When I watched those kids walking out of that school, my heart broke in a thousand pieces. When I heard about the children who didn't ever get to leave that school again, it was almost too much to bear. And when I thought about those teachers who would have done anything to protect those kids but weren't always able to keep them safe, I had to look for ways to escape because the thoughts were too much for me to carry. All weekend, I looked for ways to escape. I looked in the face of my nephew and listened to his laugh as it became louder than the news reports. I looked around my home filled with love and worked on projects that helped me to leave the images behind. I looked to my schoolwork and thought that maybe if I just planned well enough for Monday and maybe if I just planned enough activities to keep my kids busy, maybe it wouldn't be that bad. And then this morning came. This morning, going to school felt different. This morning I gathered with other teachers and all of us felt at a loss for words. What was the right way to handle this? How do we make our students feel safe when we, ourselves, no longer feel safe? How do we protect our students? How do we maintain their innocence while still respecting them enough to give them a safe time and place to talk about what they have heard and what they cannot understand? We all wrestled with these questions. We all talked about how this weekend was tough for us in ways we never imagined. We all talked about being slightly unsure why we were so devastated and why we all found ourselves so apprehensive about coming back to school today. My principal gathered all the teachers together this morning. He began in such an honest and heartfelt way. He said to us, "I have no idea how to start this meeting." His honesty became an inspiration for the rest of us as we looked for ways to talk to our students. Teachers cried at that meeting this morning. We love our students so much, that the mere thought of them being unsafe brings us to tears. I think we all wrestled with knowing that no matter how much we tried, we might not be able to make our kids feel safe today. I think we all wrestled with how we could possibly find the right words to talk to our children about incomprehensible things. And then the bell rang. And whether we were ready or not, our children came. Our children came to us and looked to us to start the day. In my classroom this morning, there was a noticeable quiet. This is rare for a group of fifth grade students. But there it was. As I predicted, students came up to me right away and asked if I had heard about what had happened. For a few moments I was paralyzed. I didn't know what to tell those kids. So I sent them to Spanish and I sent them to PE and when they returned, I was ready. I sat my students down and began one of the hardest conversations I have ever had to have as a teacher. To be honest, I had no real idea what I was going to say. But, I started by telling them that they were safe. That though the news makes it seem like these things happen all the time, they don't. Schools are mostly safe places. They are safe. They have adults in their lives who love them so much and while I couldn't promise them that they would always be safe, I could promise them that we would all do everything in our power to make sure that they were as safe as they could be. One of my students asked me if our windows were bullet proof so that would we be safe from guns. I answered honestly, "No. And I hope we never have to go to school in a place with bullet proof windows." I told them that this is a place where we want to have windows and light and contact with the outside world. We have other ways to keep them safe and we don't want to live our lives in fear. I wanted them to know, that just because bad things happen in this world, we can't let those bad things stop us from enjoying the good things that we have. The conversation wasn't long. We moved on to writing. Though the conversation ended, I knew there were still fears. Before recess, a student came to me in tears and said she was afraid to go outside. She told me she just couldn't take it. She said she didn't want to think about it anymore and she wanted it to just go away. This small, ten-year-old in tears managed to voice the feelings of an entire nation. And all I could do was hug her and tell her that I understood. I told her I felt the same way. We should all feel the same way. We should all feel like we can't take it anymore. And then we should remember that we are different than children. Children should leave it to us to figure things out and to make things better for them. Children should expect that someone else will fix this. We, as adults, have to realize that while children can afford to feel that way, we no longer can. We can't just wait for someone else to come and fix our nation. We have to find a way to do it ourselves. We have to demand more. We have to find a real way to make our kids feel safe again. We have to keep talking about it and let our politicians know that it really matters, perhaps more than anything else really matters. Only in this way, only if we don't stop talking about it when the next big news story breaks, only then will we really be honoring the memories of those kids and those teachers. Before I left today, I wrote the parents of the kids in my classroom an email and I thanked them for having enough faith in me and in the school to send their kids to school today. I know it must have been an unbelievably hard thing to do, but I thanked them for trusting me with their precious children. And then I promised them that I would do anything for their children. And I meant it. It is one of the great joys of my life to be a teacher. And I do not take that responsibility lightly. Today, more than any other day, I am so proud and so thankful to be a teacher. And tomorrow I go back to school once again. We all do. We all fight our way through the last few days before winter break. We hug our students, maybe a little more than usual, and we help them, and ourselves, to remember that we are here to keep them safe. What I connected with the most was Brene's message of how people who live a whole hearted life are people who allow themselves to be vulnerable. This was kind of a profound thought for me. I am someone who prefers not to appear vulnerable. Ever. I hate when people see me struggle. I hate the mere idea that someone might think that there is something that I don't know how to do or that I am not good at. In fact, if I even think that I might not be able to do something, I either refuse to attempt it or make a joke out of how bad at it I am so that no one will think that I am really trying and not able to do it. What Brene Brown says really resonates with me. If we do not allow ourselves to be vulnerable, then we will never do the very things in life that might one day bring us the most joy. I remind myself of this on the days when the waiting is the hardest. I know that this struggle is a choice. We have chosen to go through this. We could have very easily stayed happily in our certain world, without a child. But we didn't. We decided we wanted to adopt a child and we therefore decided to put ourselves in a position to struggle. We are choosing this struggle and I know that it will ultimately bring us to the most rewarding happiness that we have ever known. That certainly doesn't make any of it easier, but it does help remind me that being vulnerable often leads towards happiness and it makes it all seem so very worthwhile. Anyway, I thought that I would share her talk with the rest of you. If you have some time, give it a listen. She is truly amazing and I think that most people would be able to connect to the things that she says. It feels like much of this adoption process is spent working my way back to feeling good. Each time we are presented, and each time we are told we were not chosen, there are feelings of such disappointment. It turns our whole world upside down and then we have to work our way back to feeling right side up again. I feel like we have officially worked our way back to feeling good. We are back to feeling right side up. And all I know is that I am going to make absolutely sure that I enjoy these good moments while they last. Who knows what is ahead of us. There is no way to tell how long this calm will last, so all I can do is enjoy it while it is here and that is what we are both working hard to make sure that we do. This weekend was wonderful. We spent time celebrating Hanukkah with family. We celebrated the first birthday of our very close friend's son. 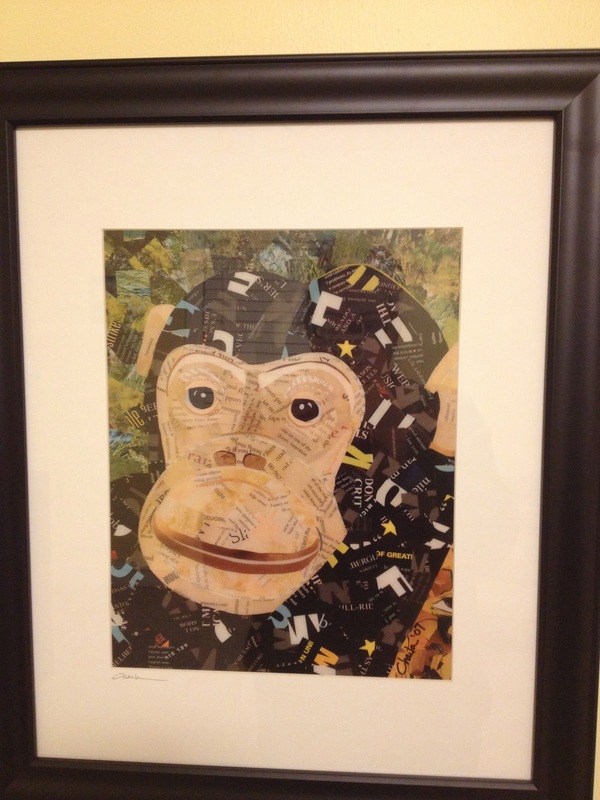 We went to a wonderful art show and bought some amazing pieces of art for our home. We are now sitting at home, working on our latest project. We are attempting to create a collage of photo frames containing pictures of our family members to go on the wall up our stairway. It has been so fun picking out photos and searching for the perfect frames to use in the collage. I love that we have been able to fill our home with so many things that speak of who Carla and I are. Having an entire wall dedicated to our family, will certainly add to that. This is how we know we are back to a good place. We are able to live our lives as they are right now, instead of just being consumed with how we wish they could be. We are able to focus on the things that are right in front of us while we wait for the things that aren't here quite yet. I have learned to love these times and these moments and be thankful each time I find myself truly able to live in the moment. Sometimes, the gay marriage debate turns into a discussion about how we, as gay and lesbian people, want gay marriage to be legal so that we can call ourselves married just like everybody else. While it is true that it is hard to turn civil union into a verb and thus difficult to explain that we "got" a civil union, the debate itself is about way more than a word. This has become glaringly obvious to me over the past few weeks. Carla and I are trying to get as many baby things figured out as possible so when the time does come when we are able to adopt a baby, we don't have to run around frantically and figure things out (I know, I know, we will still have to run around frantically and figure things out). But one of the things that we can figure out now, is whose insurance we will be putting the baby on. When we were presented to a family whose newborn baby had several medical issues to deal with, we stopped to take a close look at both of our insurance plans. 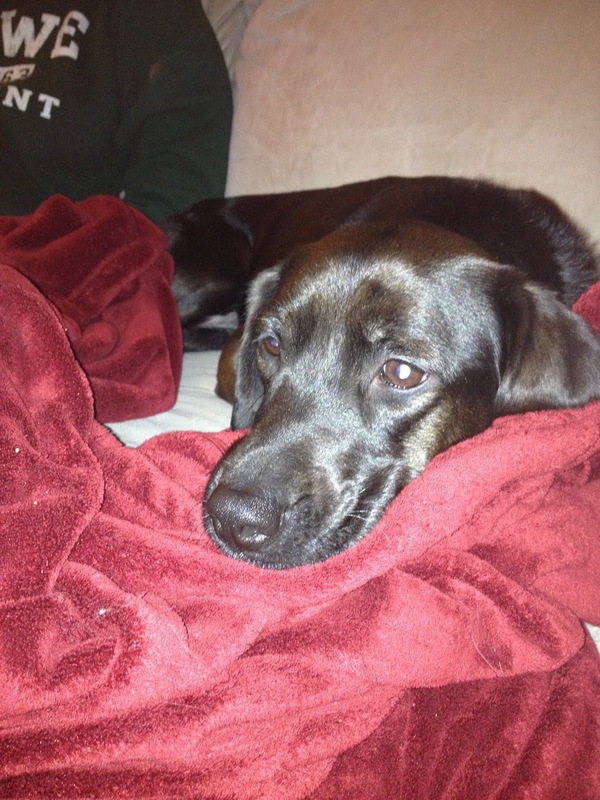 We realized that my insurance provides significantly better coverage and requires fewer copays. This led us to believe that it would be better to put the child on my insurance. The way that my insurance works is that you either pay for single or for family. Once you pay for family coverage, there is only one cost. Therefore, it costs the same to add a child to my coverage as it does to add a child and spouse to my coverage. So I then set out to try and figure out what I would need to eventually do in order to add Carla and a child onto my insurance. First, I had to clarify for the benefits coordinator that Carla and I are not domestic partners, but considered to be have a civil union since we got married in Vermont. Because of the Civil Union Bill in Illinois, any couple who is married in another state that allows gay marriage, is considered to have civil union status here in Illinois. Those who have a civil union are to be treated, in terms of benefits, just as any other married couple would be treated. So once, I explained that, it was clear that I did not need anything other than our marriage license. I have no problem explaining this to people and take absolutely no offense when people are not sure of the difference. I figure that I am one of the few people in my school district who has ever needed to go through any of this and certainly since the civil union bill has passed here in Illinois. So, that was no big deal. Once we clarified that all I would need to put Carla on my insurance was a copy of marriage certificate from Vermont, I realized that there was a bit more to the situation. Usually, benefits that are extended to a spouse are considered non-taxable income. However, since the federal government does not recognize Carla as my spouse, the money that is considered to be given to me to cover medical insurance for Carla is taxable income. That means, that I will have to pay an extra tax because I am covering someone who the United States government does not consider to be my spouse. I have spent the past few weeks trying to figure out how much this tax will be and I am still left without a clear answer. I have to assume it is not all that much, but we want to know if it is more or less money than what Carla is currently paying for health insurance through her work. But that is proving to be more of a challenge than I anticipated. None of these are issues that can't be overcome, but I can't help but be resentful that we have to deal with this at all. I think it is such a good example of just how important marriage equality is. It is easy to think that the argument for gay marriage is purely theoretical. That it is only the idea of being married that matters, but there is so much more to it. There are so many things that people don't think about that people are entitled to purely because they are married. Those are things that we have to run around and "figure out". Things that just happen for other people, don't happen when you don't have the right to a married status. I truly hope that one day, none of this will be an issue. I hope that one day everyone will be able to get health insurance in the same way, for the same price. Until then, I think it's important to keep pointing out the things that are difficult for gay and lesbian couples just because we cannot get married and just because the marriages and unions that we do have are not recognized by the federal government. Until the Defense of Marriage Act ends, we will always be subjected to a different set of rules. And think that people need to be aware of that. I think that the more that people realize just what a difference it makes to have the right to get married, the more people will be more willing to demand marriage equality for everyone.